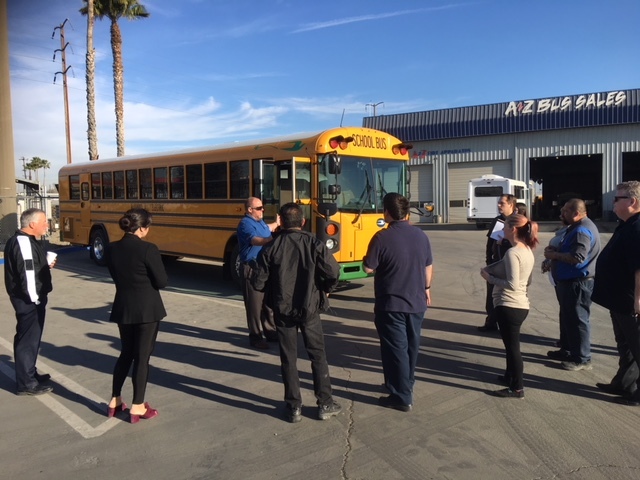 A-Z Bus Sales Team Receives Tour and Operating Instructions for new All American Electric School Bus. 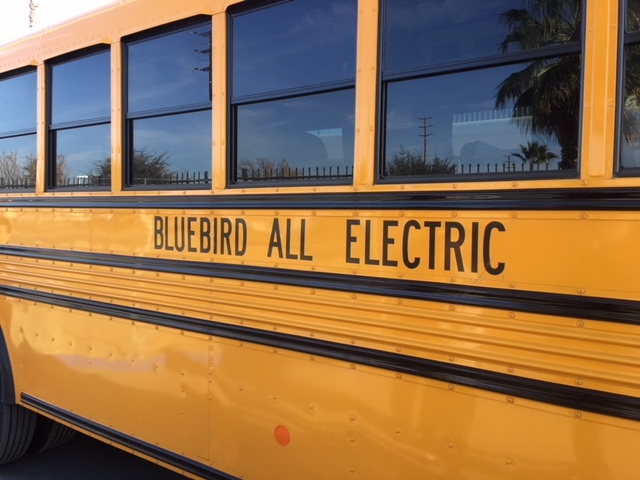 A-Z Bus Sales service technicians and sales team members received a tour of the all-new Blue Bird All American Electric Type D School Bus in Colton, California yesterday. 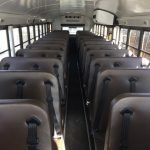 The 78-passenger transit-style school bus looks no different from any other Type D school bus. 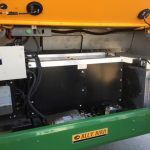 However, the main difference is the electric drive train powered by Adomani in Corona, California. 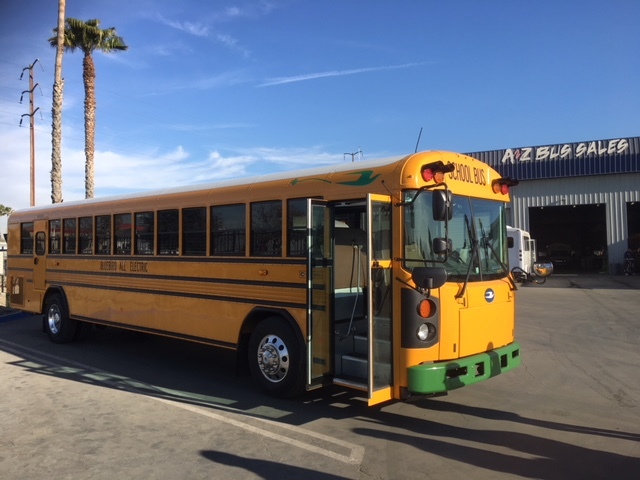 Taking a tour of the bus, one could see that it’s a quality build Blue Bird School Bus, following all of their strict safety standards and construction quality. The big difference is the sound; it is a quiet bus. 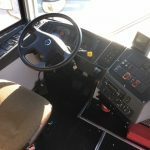 The only sound you hear is on start-up when the air compressors switch on for a few minutes, then the bus is thrust into silence. Demonstrating the features of the school bus were the staff from Adomani. 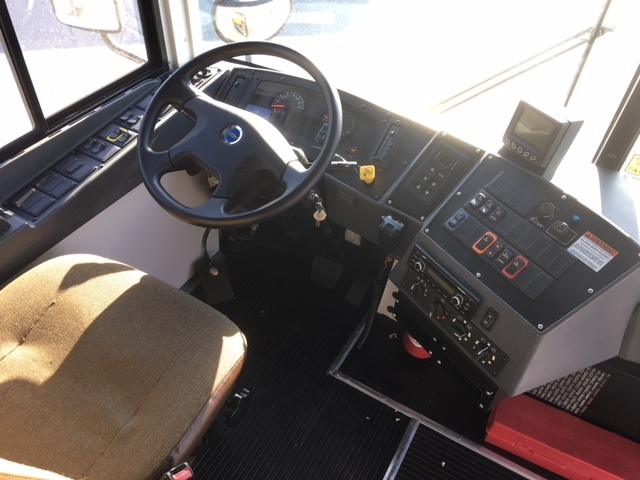 They highlighted features of the electric school bus and provided operating instructions to the A-Z Bus Sales team. 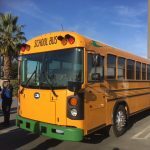 The electric bus debuts its two-week Blue Bird Ride and Drive tour beginning at Bellflower Unified School District in California on January 8 and ending at Fremont (Northern California) on January 17. 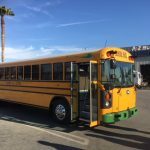 For complete date and locations, visit the Ride and Drive tour page or contact your local New School Bus Territory Sales Manager. 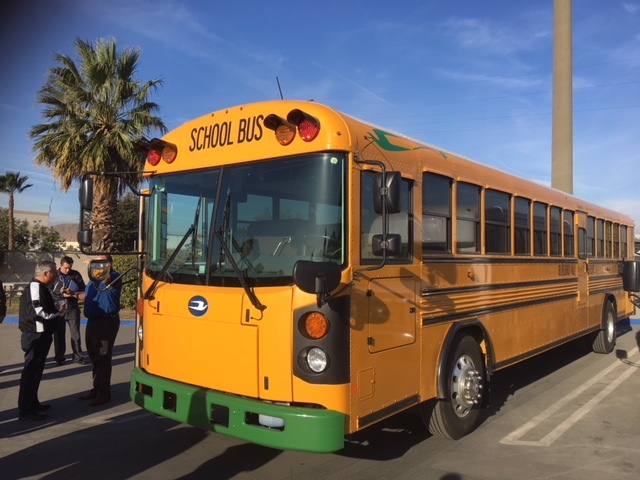 The all new electric Blue Bird Type D school bus parked in front of A-Z Bus Sales in Colton, California. 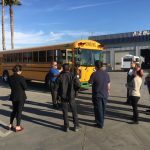 A-Z Bus Employees gather around Rick Eckert, COO for Adomani, as they listen to operational procedures and features of the new electric school bus. 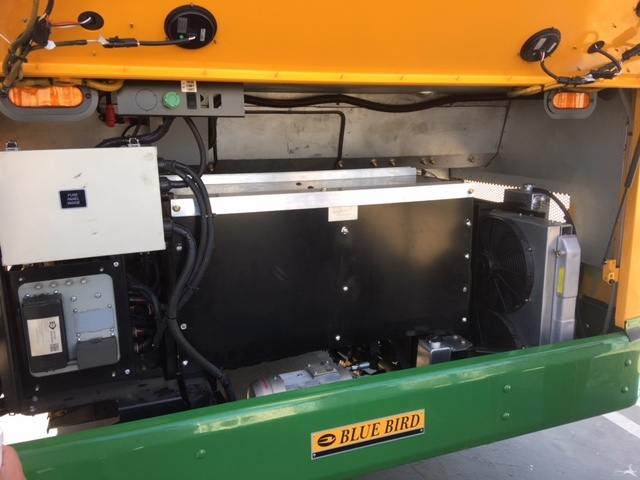 Built by Blue Bird and powered by Adomani. 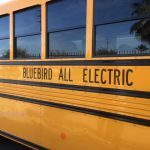 The all new electric school bus. 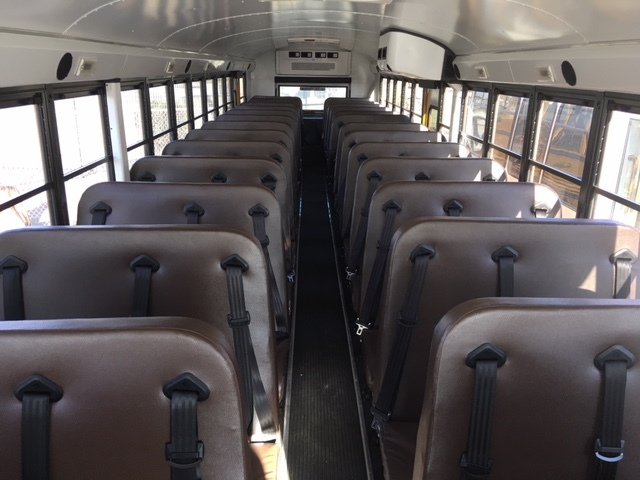 Interior view of the Blue Bird electric school bus.